It’s HERE … It’s here! 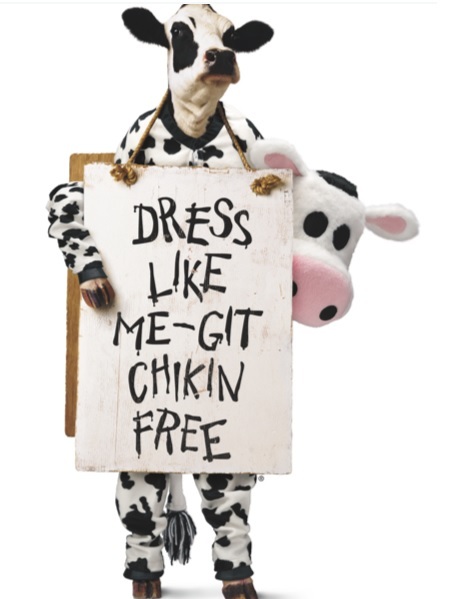 The one day a year where dressing like a cow means free chicken at all Chick-Fil-A’s Nationwide from 6 AM until 7 PM!!! No purchase necessary Just Dress Up! THANK YOU CHICK-FIL-A for ALL you do for o2b Fun Inc. You truly are A HERO to us! Oh before I am remiss, today is ALSO 7/11 Day go to any 7/11 Gas/Food Station Nationwide between 7 AM and 11 PM for a Free Small Slurpee … no purchase necessary!